I had some white beans leftover from a pot made 2 days ago. Wondering what I could repurpose them into, I ran into a truffle recipe. It was chocolate and used black beans. 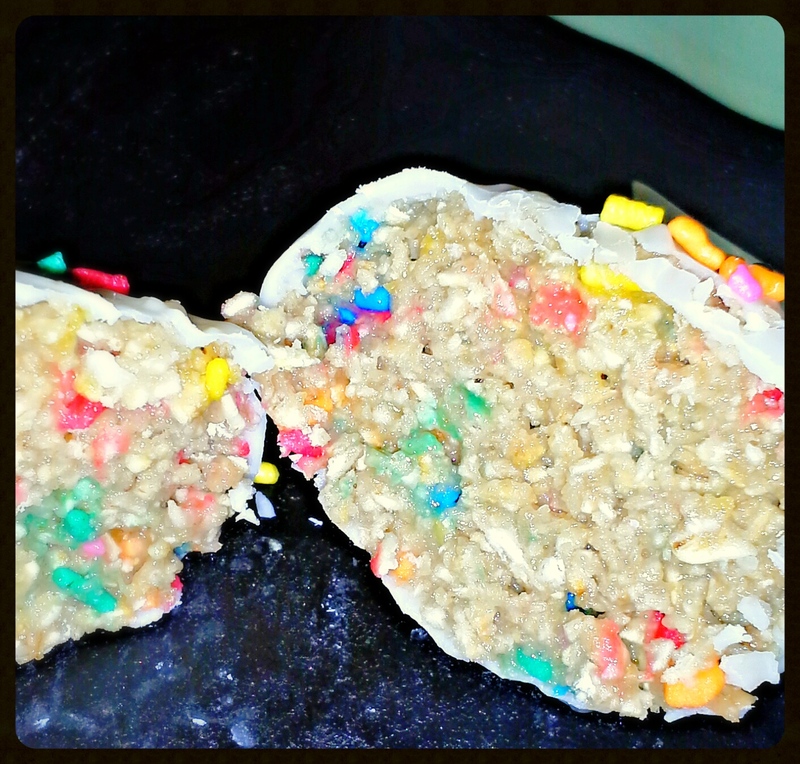 That got me to thinking, since my beans were white, why not Funfetti? 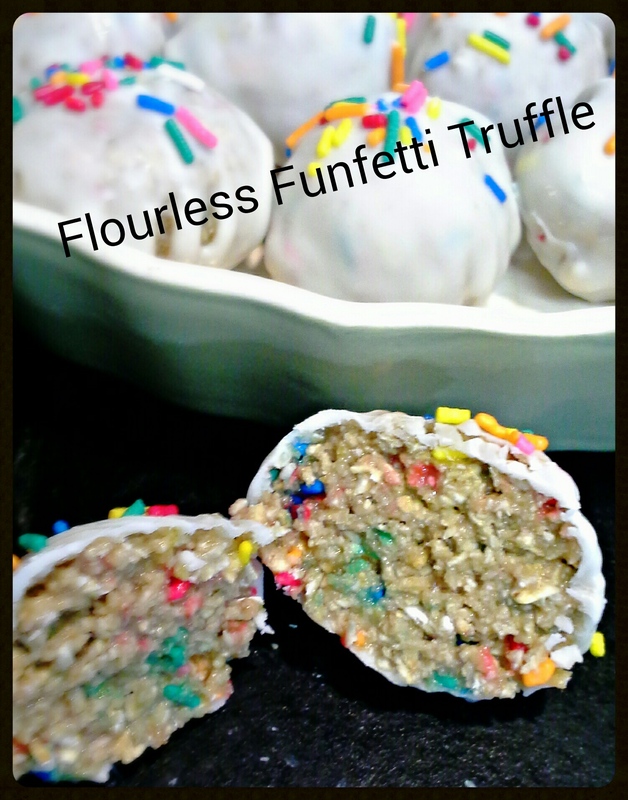 I couldn’t find a flourless Funfetti truffle recipe so I threw this one together. I wanted to use oats, so I processed a cup of oat flour and took it from there. 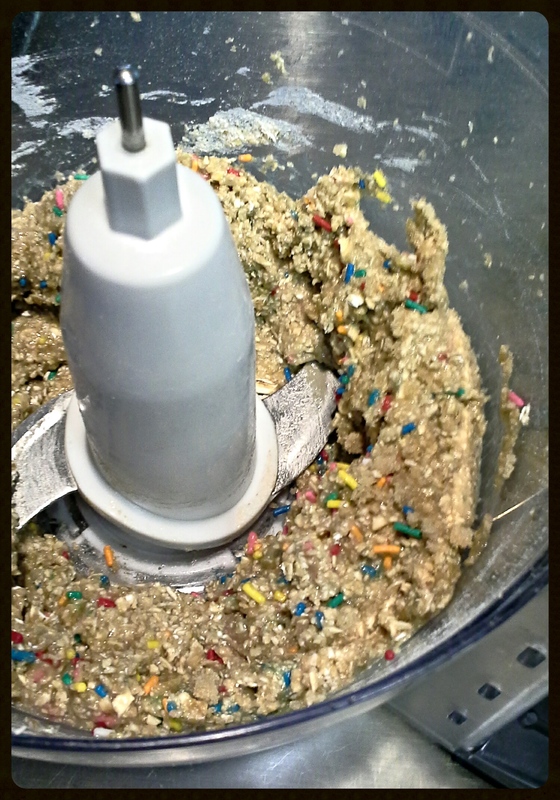 You could make your own sprinkles. While I didn’t do that I did include a link where you can get that info. I got 14 truffles at 147 calories each…but that depends on how large you roll them. Process until you have a dough substance. Roll the dough into balls and refrigerate while you melt the chocolate. Melt your chocolate and butter or shortening in a double boiler or the microwave, whichever you prefer. Dip the chilled balls into the chocolate and let dry on parchment paper or aluminium foil. Sprinkles on top before they dry complete. Keep the truffles stored in the refrigerator in a tightly covered container.